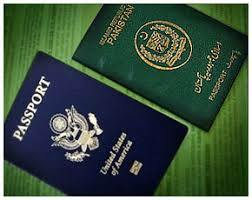 KARACHI: Complying with the orders of the Supreme Court (SC) of Pakistan, the Sindh government’s Dual Nationality Data Uploading Centre (DADUC) on Monday compiled data of more than 42,957 government officers to their check dual nationality, it was learnt. The Services General Administration and Coordination Department (SGA&CD) of the Sindh government had established DADUC under the supervision of Deputy Secretary (Services) Saeed Ahmed Shaikh with a team of competent and dedicated officers who are using the National Database Registration Authority (NADRA) portal to upload the credentials of the officers holding dual nationality. According to sources, the decision to establish the data uploading centre emerged after the newly appointed Sindh Chief Secretary Sindh Major (r) Azam Suleman Khan had directed all the administrative secretaries, head of attached departments and autonomous authorities, accountant general, inspector general police (IGP) and Sindh Bank president to comply with the orders of SC and ensure submission of dual citizenship of all grade 17 to 22 or equivalent officers with S&GAD secretary services at the earliest. as early as possible to the Services secretary, sources added. The sources said that the SGA&CD had forwarded a proforma to all the secretaries, police higher authorities and all attached bodies to fill out the proforma that contains name and CNIC numbers of officers, their spouse and children so that the report could be submitted in the apex court for further action. According to sources, the data collected was of those who are working at Grade 17 or above and was dispatched to NADRA and Federal Investigation Agency (FIA) for checking the dual nationality of the officials and submit a detailed report before the apex court for further action.